Famicom World provides some of the best, comprehensive articles on the old Family Computer, our investigations of sorts, looking into Famicom mysteries, lingering questions and oddball occurrences. 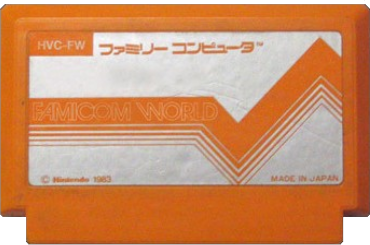 If you like the Famicom, you’ll like our articles. Some of these articles are guides to buying the best pirated and unlicensed games, some are about obscure game developers, some are, well, just whatever we felt like researching and writing about. Are you curious about something Famicom-related and don’t know where to find the answer? Contact us or join the forum to get some answers. The games, the loading, the glitches, and the marketing would have hurt the poor FDS and sent it to video game Hell. I know. You've been on eBay before and watched helplessly as you were outbid by lunatic bidders on that neat looking pirate cart. Today, NES carts are searched out and raided of their converters, for with them they bring the glory of Famicom games to the NES. Super Pig wasn't a company of creative genius, but was active in the 1980s producing spin-offs of popular games. Nintendo used FMC and FSC product codes to catalogue the Disk System items it produced. Nintendo used a series of HVC product codes to catalogue what Family Computer items it produced. The side-opening FDS box is styrofoam entirely encased by cardboard. The box opens at the side. In the early days of the Family Computer, Nintendo released games with the same label design. Pirate companies avoided using the "Nintendo" lockout indentation by simply modifying "Nintendo" to say something different. The darn Disk System will endlessly play this little lights on, lights off scene until you insert a disk or shut off the system. Prior to the Nintendo World Championships, however, Nintendo already had held similar competitions in Japan. You can try it out with a un-modded Famicom system, an FM radio receiver and a single RCA cable. Mario is Nintendo's famous unofficial mascot, and he was stolen by piraters trying to make a quick buck.